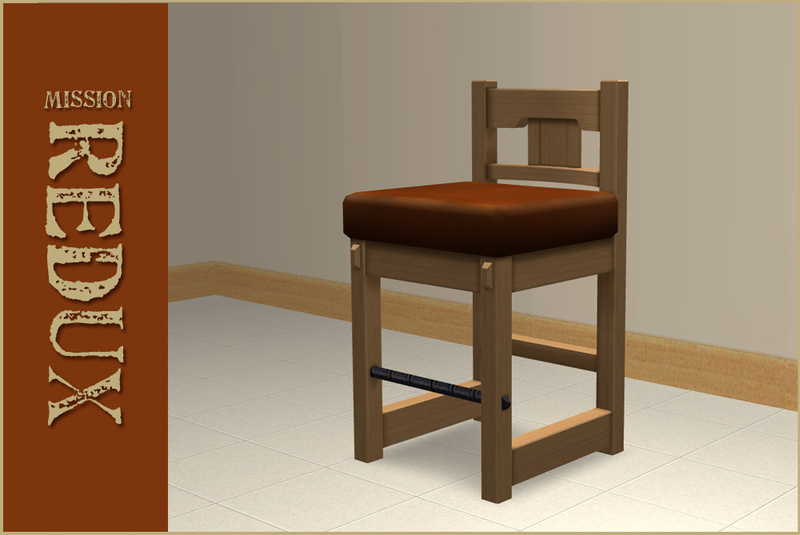 As requested by RawMilk, a trimmer version of the Mission Barstool. 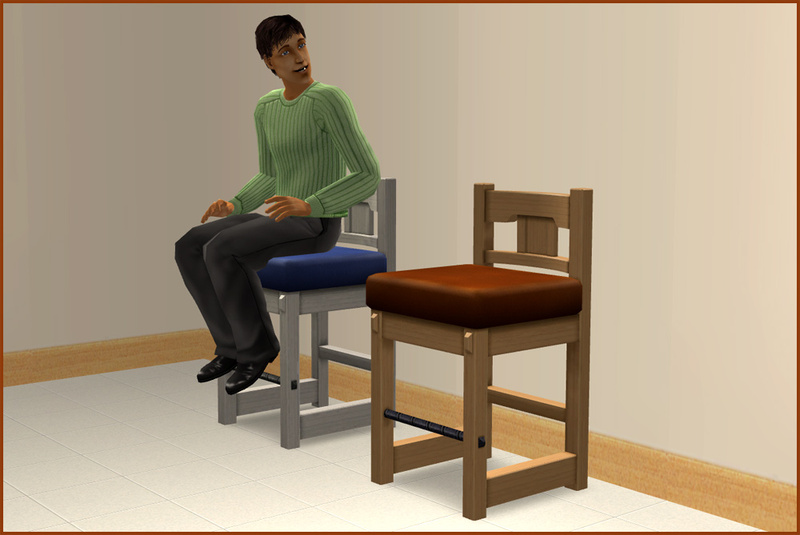 The barstool cushion is slaved to the dining room chairs, the wood is slaved to the original barstool. 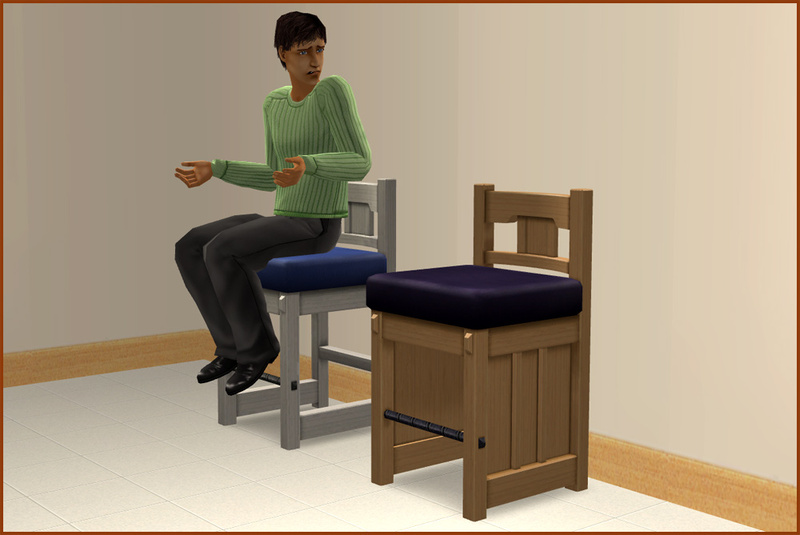 OMG your poor sim, so confused by the original. Your version looks fantastic, lee. Thank you! Great screenshots Lee. Barstool does look better your way, but personally I always thought the back should have been higher. To be honest - I am still looking at the seat and finding it kind of fat. I might modify that a bit.